It’s so easy to bring life and color into your home or office and to transform an uninteresting room into a unique and eye-catching space with the addition fabulous wall art. 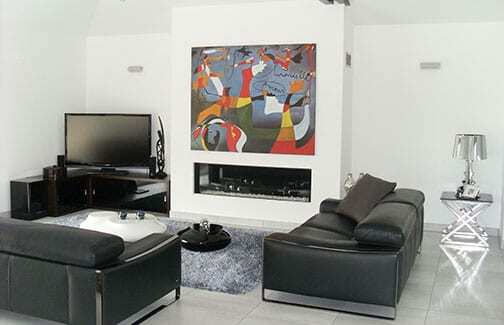 We all give great importance to our choice of furniture and soft furnishings and so often the paintings we hang on our walls are an after-thought and the final addition to room. Prints or Lithos are ok, but they can be expensive and they can never provide the integrity, depth of color and texture of real oil on canvas paintings. Buying hand painted oil painting reproductions online is an enjoyable way to choose very affordable art by some of the world’s most famous artists. Large online catalogs can give you the opportunity to view thousands of paintings and to visualize those which work together. But where do you start? Here are some tips to make the process easy. 1. Stand back and take an objective look at your room. What do you want to achieve? Does your room have a theme you wish to continue? As an example, do you want to follow-through on an existing monochrome palette? 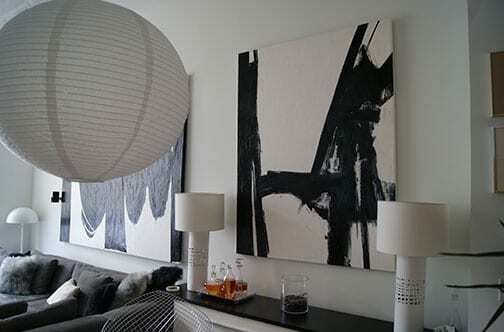 See for yourself how these striking large abstract-expressionism paintings complete a simple room. Maybe you want to introduce some color into your space with abstract oil paintings? The photograph below demonstrates how easily and quickly a room can be enhanced with the addition of a reproduction painting. 2. 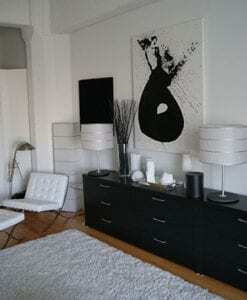 Consider the options – one large canvas painting or a series of paintings? This customer decided that a series of smaller paintings were the perfect addition to the public areas of his Guesthouse. 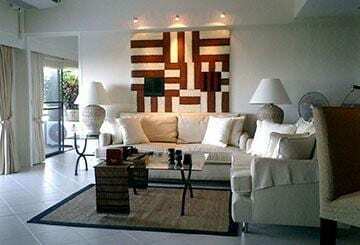 This idea can be applied for over-sofa paintings or for any long wall space such as a corridor which does not have a great height. All you need to do is cut some old newspaper or butcher paper to the size you think will work and then place it on the wall where your painting will hang. Small pieces of general purpose masking tape secured at each corner will allow you to stand back to decide whether you can go larger or smaller or you got it right first time! Take your time – the introduction of art into a room is as every bit as important as any piece of furniture. Be bold and don’t be afraid. 4. Don’t hang your paintings too high! Where you place your painting on the wall is key. Hanging paintings too high on the wall is a common mistake. Your art is there to be enjoyed and viewing at standing eye level will allow for maximum pleasure. Museums all over the world ensure that paintings are placed at eye level height giving visitors the very best possible viewing experience. You may not know much about art but don’t let that hold you back. Find paintings which speak to you and they will give you endless years pleasure. You don’t have to be a wealthy collector or art connoisseur to choose great paintings to decorate your home. Introducing art into your home is an opportunity to express a unique style and individuality. In a room without a main architectural focal point, a bold oil painting fills the void, drawing the eye and giving color to even the most uninteresting space. 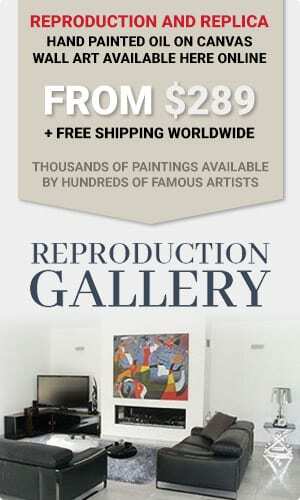 At reproduction-gallery.com we have a passion for fine art and take pride in creating museum quality oil paintings. When your order is received it is assigned to an artist who excels in his or her chosen genre. This means that the artist understands the palette and technique required to complete a particular canvas. It is this meticulous attention to detail and the expertise of our artists, which sets us apart from the 'factory' style on-line galleries that crowd the net. We do not aim to be the largest or the cheapest, but we always strive to be the best. WordPress Theme built by Shufflehound. Copyright © 2018 Reproduction Gallery. All Rights Reserved.